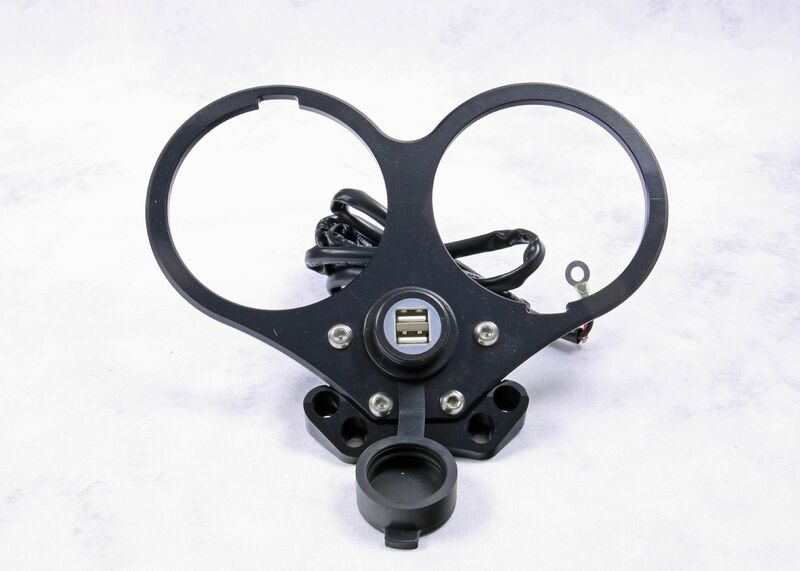 Cafe Racer Gauge Cluster Bracket Including Twin USB power port & fused cable. Raised slightly sitting up and tilted back just enough to retain headlight clearance. This bracket integrates the ignition switch, relocating it from between the stock headlight ears. This not only makes it easier to reach, but is another way to Ergonomically clean up motorcycle design. 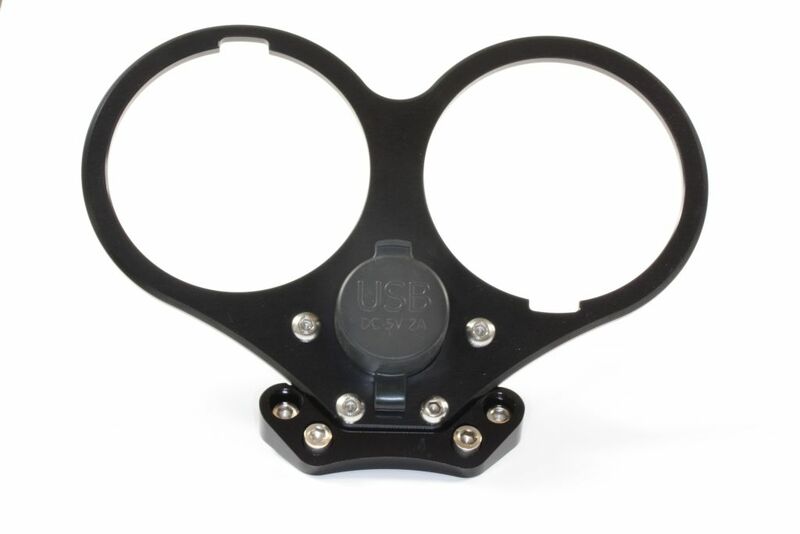 Made from high grade aluminium & anodized Black . The bracket mounts without modifications (No need to lower the headlight) and is supplied with stainless-steel hardware. 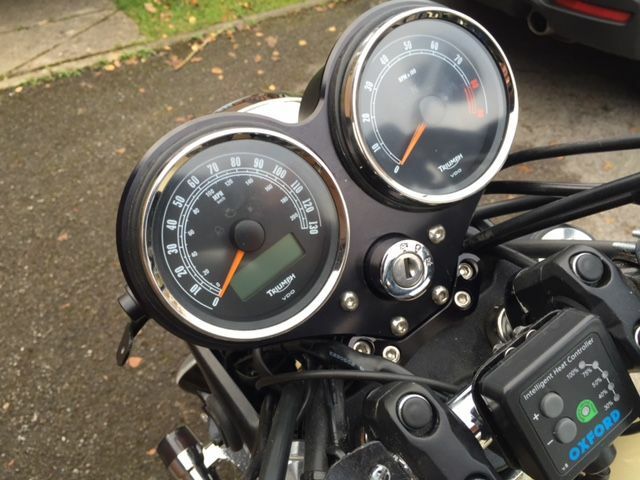 The Cafe Race Gauge Cluster Bracket is suitable for standard and aftermarket handlebars. EFI models that have idiot lights built into their gauge clusters do not require additional headlamp brackets or lower headlights as the clearance has been taken into account in the design of this Instrument binnacle. 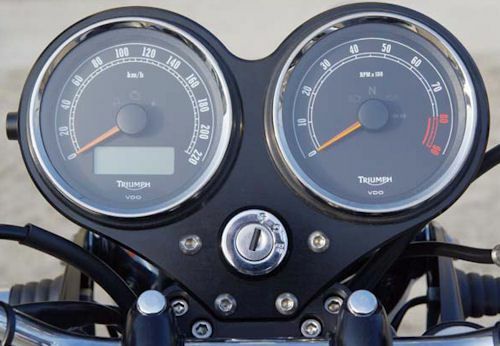 Positions gauges slightly raised enough to blend in and prominent enough to still see at a glance. Integrates the ignition switch, relocating it from between headlight ears. Hole blank is supplied if this option is not required. 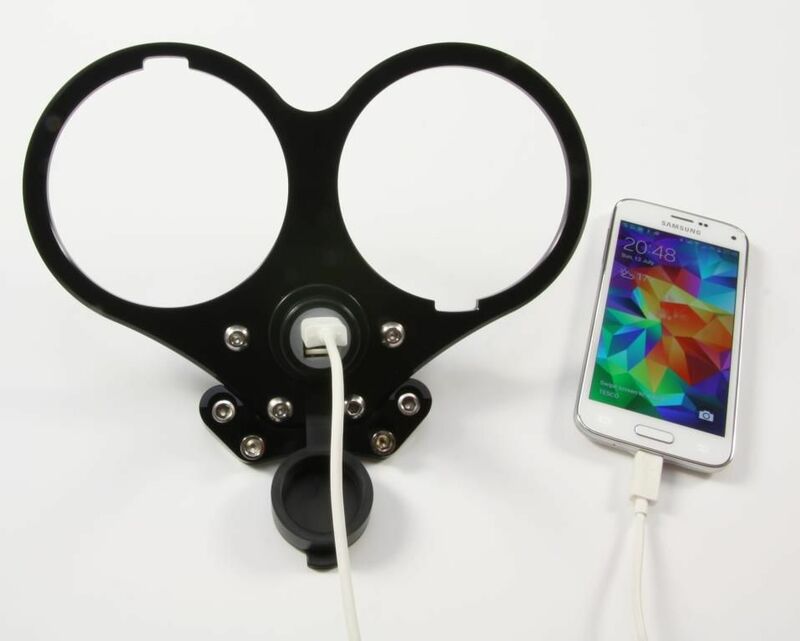 Or you can add a 12v USB Charger Port. Image 4&5.